Phone Us Today On 020 8482 1112 to find out more about Osteopathy, Scenar Therapy and IDD therapy cost and procedures. Elbow pain / tennis elbow (lateral epicondylitis). Headache arising from the neck (cervicogenic). Joint pains including hip and knee pain from osteoarthritis as an adjunct to core osteoarthritis treatments and exercise. General, acute & chronic backache. 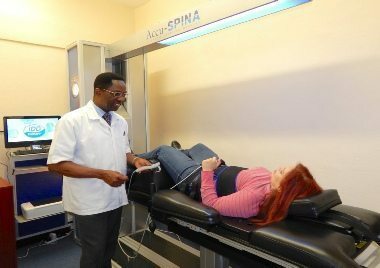 We are a specialist clinic for IDD Therapy, which is an effective non-surgical procedure for chronic neck and back pain. If you experience pain or any of the conditions above, you really do not have to endure the pain. Get assessed and get set on the path to full recuperation. Phone us today to book a free consultation or click here to book live online.